Susan L. Bender was admitted to practice law in the State of New York in 1980. Susan has an AV rating from Martindale-Hubbell. In the over thirty-five years that she has been in practice, matrimonial practice has occupied approximately ninety (90%) percent of her time. Ms. Bender is a Fellow of the American College of Family Trial Lawyers. She is a fellow of the American Academy of Matrimonial Lawyers, a member of the Board of Governors and former member of the executive committee of the New York Chapter. Ms. Bender is a past President of the Women's Bar Association of the State of New York (WBASNY) and remains a member of WBASNY. She is a former co-chair of the WBASNY matrimonial committee. She is also a former member of the Board of Directors of the New York Chapter. She is the former Chair of the New York City Bar Matrimonial Committee. Ms. Bender is a former member of the Interdisciplinary Forum and formerly a member of its Executive Committee. She is a founding member, former Vice President, Secretary and current board member of Judges and Lawyers Breast Cancer Alert (JALBCA); a member of the Executive Committee of the New York State Bar Association Family Law Committee; a member of LeGal (Lesbian and Gay Lawyers Association); and a member of the American Bar Association Family Law Section. She has lectured and continues to lecture in many areas of family law and procedure for the New York State Office of Court Administration, Association of the Bar of the City of New York, the Women's Bar Association of the State of New York, the New York State Bar Association, the Nassau County Bar Association, the Brooklyn Bar Association and has lectured at Pace University and for the Interdisciplinary Forum on many issues. Ms. Bender has also lectured at LeGal and American Academy of Matrimonial Lawyers. She also attended other conferences and lectures given by other state bar associations and various local groups, including The Fund For Modern Courts and the American Bar Association. She completed the Domestic Arbitration Seminar in September of 1991, a 40 hour Mediation Seminar held at the ABA Mid-Year Convention in Miami in February, 1995, and received mediation training by the American Arbitration Association in 2016. 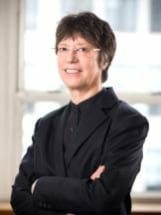 Ms. Bender was appointed by Chief Judge Judith S. Kaye to the New York Judicial Committee on Women in the Courts, and is a former member of the Advisory Committee on Civil Practice having been appointed by former Chief Administrator of OCA, Matthew T. Crossen. She was appointed by Judge Betty W. Ellerin to the First Department Judicial Committee to Certify Law Guardians and planned the Training Programs for law guardians, which were conducted on April 15, 2002 through the Fall of 2002 and November 14, 2003. She was appointed by Chief Judge Judith S. Kaye to the Matrimonial Commission chaired by the Honorable Sondra Miller. She was appointed by Justice John T. Buckley to the Law Guardian Advisory Committee of the Appellate Division, First Department. Chief Administrative Judges Ann Pfau and A. Gail Prudenti appointed Susan to serve on the Matrimonial Practice Advisory and Rules Committee of the New York State Office of Court Administration, and in 2017, the Honorable Justice Peter Tom appointed Susan to the Board of Governors of the New York State Attorney-Client Fee Dispute Resolution Program. Ms. Bender has more than forty-five (45) reported Appellate Court decisions related to family law issues. She has been trial counsel in dozens of family law matters in both the Family Courts and the Supreme Courts in various counties throughout this State. She has represented, over the years, hundreds of clients, submitted at least that many motions, has argued before many Courts and has participated as an arbitrator and advocate in arbitration proceedings, a mediator in family law matters and has served as a Special Referee by Court appointment. Ms. Bender is the author of a chapter in the New York Practice Guide (Matthew Bender Publisher, 1988) entitled, "Enforcement of Money Judgments". Additionally, she is the author of a chapter in New York Family Law Strategies entitled Bringing Justice to a Flawed System (Thompson Reuters/Aspatore Press, 2009), and an article published by the New York Domestic Relations Reporter in 1989 entitled, "The Finality Rule Barrier to Court of Appeals Review of Appellate Division Orders in Matrimonial Litigation." Ms. Bender is routinely chosen to be included in "The Best Lawyers in America" published by Woodward/White, Inc. and is routinely named a "Super Lawyer."